Having loved A Day Makes, I was excited when I learned that The Vault was being turned into a series and that Late in the Day would give me the chance to learn more about Gold Team Leader, the man who saved the day and Ceaton Mercer’s life at the end of book one, returning the favor that Ceaton did for him and his team while in the military. I also hoped that I’d get a chance to catch up with Ceaton (I did) and Bryn (I did not). 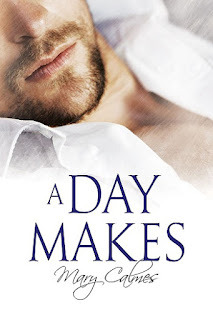 But as I’ve come to learn every time I start a new book by Mary Calmes, the story is ripe for cameos and I discovered that Darius had a connection to another series that wasn’t on my radar until now – A Matter of Time. As if my reading and listening list wasn’t long enough, but I digress. Unlike book one, Late in the Day is more focused on Darius as a character and less on developing the romance between him and Efrem – after all, them falling in love is history. Calmes uses Darius’ move from Detroit to the Boston area as a way to show how he’s transitioned from Black Ops to CIA operative to paid assassin to The Vault. The opening scene in which he and his charge, Trevan Bean, take a meeting with Trevan’s boss was a pretty intense start to the book. As the volatility of the situation became clear, I wanted to worry for their safety, but Darius’ calm demeanor and knowing that Ceaton was in a perfect sniper position made it hard to get too anxious. And that’s why what greeted them when the elevator doors opened in the lobby was so unexpected. But the hits just keep on coming when we find out the connection between Darius and Efrem and what happened to cause them to split. I used to say that I wasn’t a fan of books that go back and forth in time, but the truth is that I’m not a fan of books that do it poorly, but I do love the back and forth when the author knows how to use such shifts to enhance the story. 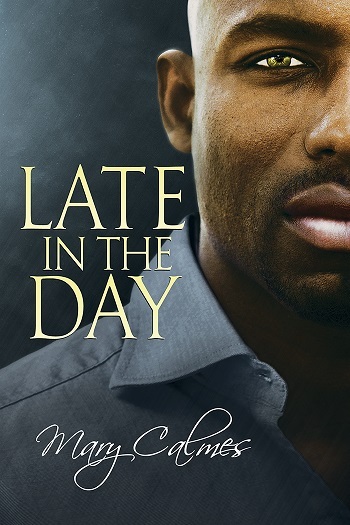 In Late in the Day, Calmes does a fabulous job of using Darius’ memories to show the reader what happened in the past and I found the recollections to be well-timed – moving the story forward by providing the reader or listener with the information they need to understand what’s going on in the present and how the past affects their actions. We not only get to see Darius reconnect with the only man he ever loved, we also get to see how his humanity has grown, especially over the past year, through his interactions with his neighbor (hilarious side story there), with Trevan, with Ceaton, with Marko, with his Bishop (I won’t even attempt to misspell his name), and the other contract killers he’s worked with in the past and maintained connections with. I actually enjoyed seeing Darius off-balance at times, when faced with a growing affection (for lack of a better word) for those people in his life. I also think that insight was necessary to explain why he never tracked down Ephrem, why he was resistant to entering Ephrem’s life again, and why he couldn’t say no when Ephrem made his own intentions known. Getting to see how the two men met, how they were split apart, and the obvious pain in Ephrem’s voice (Well done, Boudreaux!) when he realized that Darius could very easily slip through his fingers again, made their reunion and Mach-speed plans to start up again believable. While I would have loved to have seen more of them starting their life together, that wasn’t the focus of the book – Darius was. Not only did I love the story, I loved the narration. Now, that’s not the least bit surprising considering that it’s performed by my favorite narrator, Greg Tremblay performing as Greg Boudreaux. While I’m not sure why book one is attributed to Tremblay and book two is attributed to Boudreaux, at the end of the day, it doesn’t matter to me because the man is marvelous. I’ve listened to both books in the series numerous times, often pairing them with Acrobat for the whole organized crime vibe (which was when I finally discovered another Easter egg in this book and put the Matter of Time series on my radar). I really love this series and sincerely hope that Calmes has another book (or five) planned as I need to catch up with the guys again, see how Darius settles into his role as The Vault, and see how his second chance at love with Ephrem panned out – and keeping it with the same narrator, regardless of the name used, would be lovely. For reviews & more info, check out our A Day Makes Audiobook Review post. Reviewers on the Wicked Reads Review Team were provided a free audiobook copy of Late in the Day (The Vault #2) by Mary Calmes, narrated by Greg Boudreaux to listen to and review.